You have your color fan! Now what? It was so fun and surprising to see what “my” colors turned out to be! Some I guessed correctly, others unexpected. I now have my personal palette of colors. What’s the best way to utilize this newfound information? I started with my closet and weeded out clothing articles that definitely were not in my color scheme. Now I know why I wasn’t in love with most of these clothes. It was not hard to let them go simply because I now had a good reason to not keep them. This narrowed down the number of options I had to choose from when getting dressed, which made it much more efficient and timely. I am all about having options, but too many can be stressful and take up too much time. The color fan helps to streamline those choices. I do enjoy shopping for new clothes and accessories. After cleaning out my closet, I felt that was the green light for me to search out clothing items more in line with my color fan. As I enter a store and start perusing the racks, I immediately pull out the color fan. This eliminates about 2/3 of the store and helps me to focus on clothing that aligns more with my colors. Of course it also depends on whether I’m looking for a specific item (tops, dresses, skirts, shorts, pants, etc…), shopping for a special occasion, or just looking for something that catches my eye. Again, using my color fan helps to not waste time and money on items that I know are not right for me. Selecting makeup colors was always a moving target for me. Not so much foundation and powder, but lipsticks, blushes, and eye shadows. 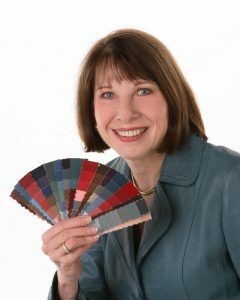 Now that I have my color fan to refer to, these choices are much easier to make and certainly look more appropriate on me. A color analysis done by a professional consultant may seem like an indulgence, but provides very useful information that will save time and money in the long run, and help you make more appropriate and flattering choices in apparel, accessories, cosmetics, and even home décor. Well worth the investment!